Well, I received a new insulin pump from Medtronic the other day. I’ve been pumping since 2005 and this makes my 3rd pump. They have a 4 year warranty. Once the warranty runs out the insurance company will allow me to get a new one. So, since my out of pocket maximum had been met, I figured why not. So. I now have a Minimed 530G insulin pump with a continuous glucose monitoring system. IE. I have a small transmitter attached to me that sends my glucose levels to the pump. 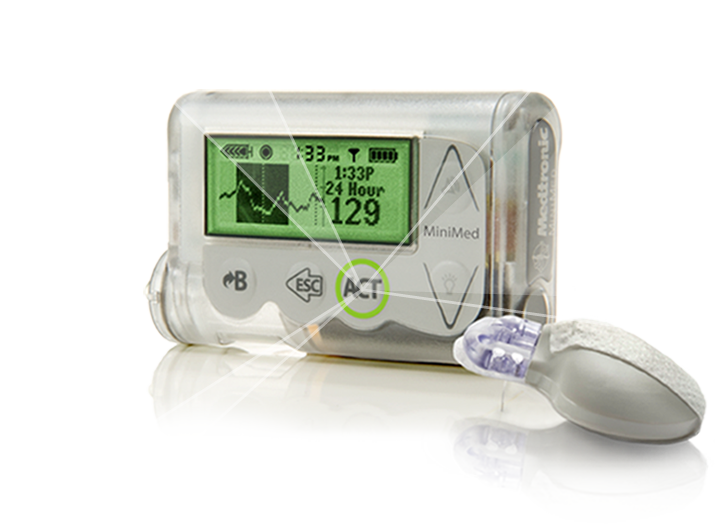 The Minimed 530G insulin pump with the transmitter. Mine is actually a charcoal grey color. It’ll be interesting to see what the continuous monitoring shows. Living with Type 1 diabetes is a pain at times, and expensive as hell. But it’s livable, and it can be interesting at times.